'Finding Mañana' details Cuban Exodus. 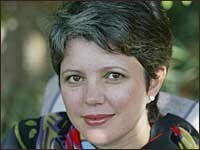 April 30, 2005 · Mirta Ojito was 16 when she arrived in the U.S. as part of an influx of Cuban refugees in 1980, an exodus known as the Mariel boatlift. 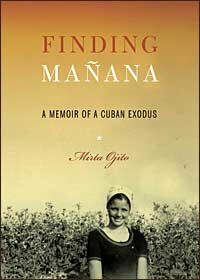 She revisits her experience and the factors behind the boatlift in a new book, Finding Mañana: A Memoir of a Cuban Exodus. Ojito, a writer for the New York Times, contributed to a series for that paper that won the 2000 Pulitzer Prize for national reporting. She joins Scott Simon to discuss her memoir. The title of Finding Mañana refers to the Mañana (tomorrow), the boat that brought Ojito to the U.S.